NEXT | What kind of MMO could work in the Diablo universe? “She is a violation. She serves the true enemy.” Sylvanas Windrunner may be many things, but she’s never been a follower. She doesn’t take orders; she doles them out – even in her days as High Ranger General. Now she stands at the top of the ranks, having taken her place as Warchief. It’s the highest position in the Horde, one in which she serves no one. So who – or what – is this enemy that the Void fears? And if, in fact, Sylvanas is serving some unknown entity, does she even know that she’s doing so? Is Sylvanas a willing agent of some heretofore unseen evil, or is she completely unaware? What is Sylvanas beholden to? Today’s Know Your Lore is a Tinfoil Hat edition. The following contains speculation based on known material. These speculations are merely theories and shouldn’t be taken as fact or official lore. Last week, we discussed the Light and the Void – they exist in an unending cycle, one best represented by the Naaru. Time and again, it’s been pointed out that one cannot exist without the other. Sylvanas and her Forsaken kin don’t answer to this cycle. They exist in a space outside of Light or Void, beyond life and death. If left to their own devices, they’d simply remain eternal, existing without purpose. What happens after death? It’s never really made clear in World of Warcraft. In the case of players, sheer gameplay mechanics require a means to return to life, in the form of Spirit Healers that resurrect the fallen. 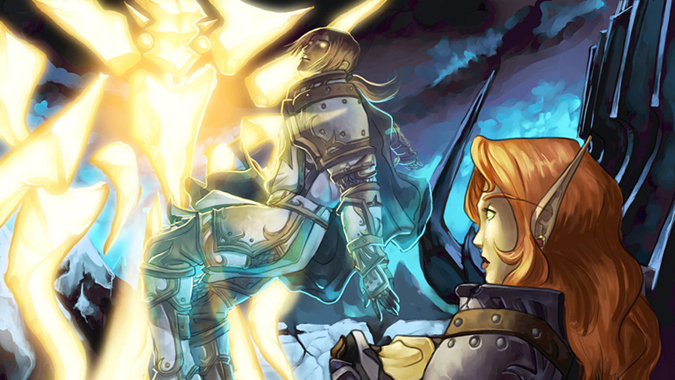 It’s not really a mechanic referred to in lore – resurrection is treated as an incredibly rare, significant thing, as when Anduin pulled Varian from the jaws of death in the short story Blood of Our Fathers. Undeath is a horror no one wants to experience. In Wrath of the Lich King, the only instance of Naaru intervention occurred in Icecrown, where Crusader Bridenbrad was stricken with the Plague of Undeath. Unwilling to spread the plague further, Bridenbrad isolated himself. Players were sent to try everything to cure him of his ailment, but nothing worked. In the end, A’dal arrived – not to cure him, for there was no cure, but to usher him to a paradise where the plague could not reach him. Bridenbrad’s quest chain was based on a real-world counterpart, so it might not be reflective of lore. At the same time, it shows that the Naaru are capable of taking spirits somewhere else. Someplace where the chill of undeath can’t touch them anymore. Bridenbrad was saved from a fate worse than death – a fate Sylvanas and her kind struggle with every single day. Both the Lich King and Sylvanas saw something entirely different after their deaths. They saw only darkness – an endless void, a dark unknown realm of anguish. It was a place in which the spirit was made whole and could once again feel, and feeling was an agony. There were others there too – claws that tore at Sylvanas’ spirit, eyes that stared, unidentified entities that seemed to exist only to torment. In that vast expanse of nothing, Sylvanas was approached by the val’kyr, who offered her another solution. She took it. Of course she took it – she didn’t want to stay where she was. And with it, she took an assumption as well. If this is what she experienced after she died, it stood to reason all Forsaken experienced this when they died. It was a fate she wasn’t about to let them encounter. At first, it seemed like this was a world of Void – after all, the story described the place as an endless void. And that might actually be true. 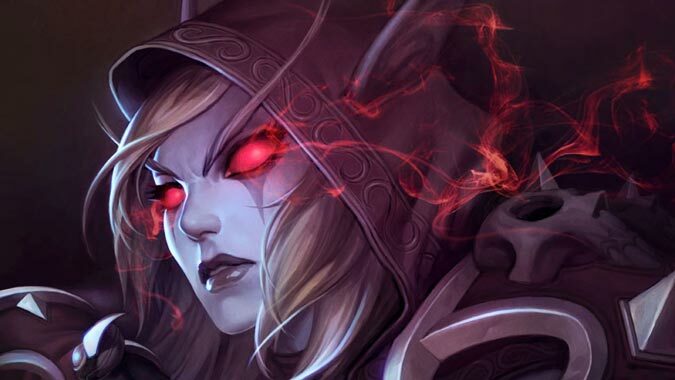 The Void may fear Sylvanas because she found a way out of the Void – a way to escape the darkness. Right now, she’s doing everything in her power to make sure she doesn’t go back there. Does this mean that the val’kyr are the enemy that the Void fears? They were the instruments of Sylvanas’ escape, after all. It’s possible – they were vrykul that were deliberately made undead, created to essentially pull worthy souls from the Shadowlands and deliver them to the Halls of Valor. Helya was the first of the val’kyr, transformed against her will by Odyn. Needless to say, she wasn’t happy about it – eventually she sealed Odyn away inside the Halls of Valor and made a home for herself in Helheim. 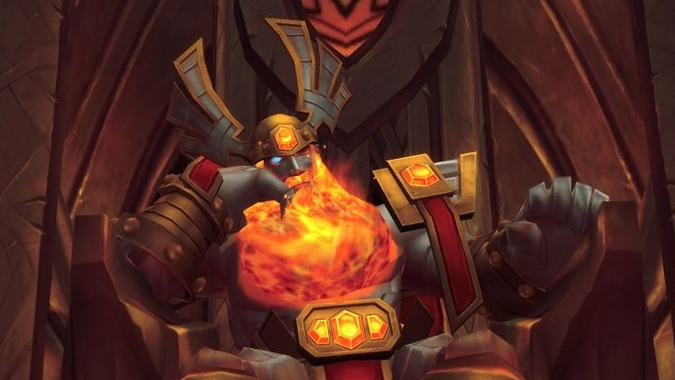 But more val’kyr continued to be created – there were those who ascended to join Odyn in the Halls of Valor and carry out his plan of ushering souls. And there were also those who chose not to take a side, remaining in the Shadowlands to aid unfortunate souls – the Spirit Healers, as we call them. And then there were the val’kyr of the Scourge. These creatures served the Lich King, though whether it was by choice or by being bound to his side is uncertain. Instead of ushering souls to the Halls of Valor, they transformed vrykul into either Ymirjar – elite champions of the Lich King – or undead Vargul if they were found unworthy. 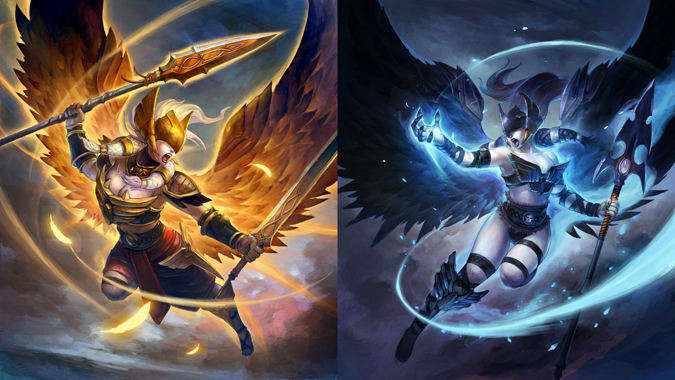 But regardless of origins, the val’kyr serve a singular purpose – they exist to usher souls from where they’ve gone to rest in the afterlife back to the living world. They cross a barrier that was not meant to be crossed. 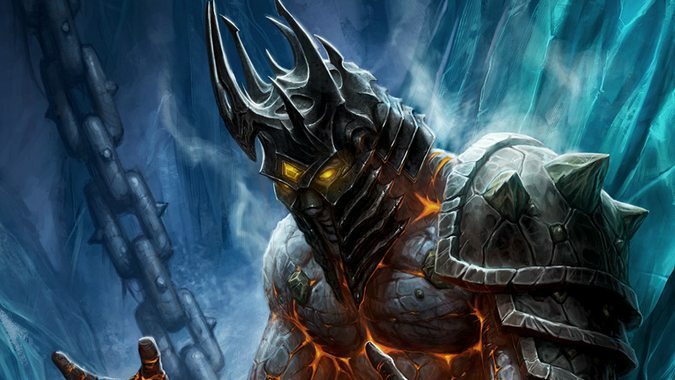 There’s a reason the val’kyr are able to raise new Forsaken, just as the Lich King did. It’s because they come from the same realm – the realm of the dead. Odyn is missing an eye. He traded it for the knowledge that would eventually allow him to bring the val’kyr — and the Valarjar — into being. He traded it for the means to see the “world of death,” so that he could raise the dead just as he’d planned. To accomplish this, he went to Helya, and asked her to essentially put him in touch with a creature of the Shadowlands – a creature of death. 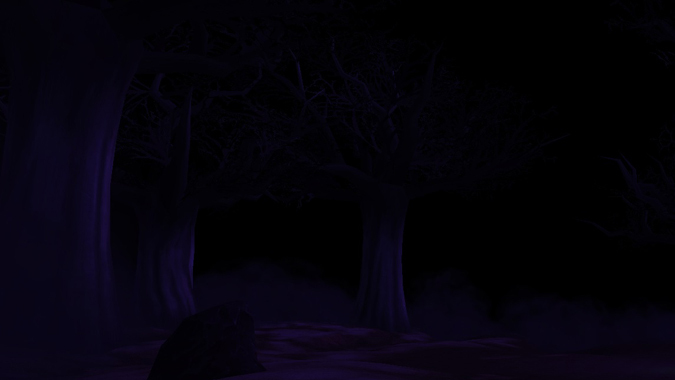 The trade was made – Odyn gave the spirit his eye, and the spirit swallowed it, allowing Odyn to see within the Shadowlands at last. What he saw was…unusual, to say the least, and led to a series of conclusions that led directly to the creation of the val’kyr. And yet still he saw death. He saw souls in torment, and souls in anguish, and the husks of the dead lay all around him. He saw ghostly wraiths with no face, and others with no form, and all were made of death itself. And as he saw, even the great Odyn, master of the Halls of Valor, chosen of Aman’Thul, was afraid. Odyn looked back into his world with his other eye. “What did you see, great Odyn?” Helya asked. Odyn deliberately created the val’kyr – undead beings that exist outside the cycle of life and death. He did it knowingly, purely for his own advantage. Thousands of years later, the Lich King would do the same thing with the Scourge – creating a vast army of undead that existed outside that cycle and should never have been brought into being. Who, then, is the true enemy? Is it the val’kyr, to whom Sylvanas owes her current existence? Is it the Lich King, wearing a new face, but still sitting on the Frozen Throne? Or is it the very nature of undeath itself – static, unchanging, neither living nor dying? It’s a good question, but we don’t quite have enough information to come up with a solid answer. Here’s what we do have: the knowledge that in the universe, there is something that even the Void fears. It’s a universe where nothing decays or grows. It’s a stagnant planet populated with entities outside the cycle – creatures that neither propagate life, nor expire at the end of their existence. They don’t have an end to their existence. There’s nothing for the Light to foster, and there’s nothing for the Void to corrupt and devour. Sylvanas Windrunner may just be trying to keep her people alive. She may be trying to keep their loyalties close, to keep them from the dark place she saw after leaping from the peak of Icecrown Citadel. But what she’s doing is unnatural – it goes against the very primal forces that created the universe to begin with. I don’t know how this story is going to end, but I have a feeling Sylvanas won’t remain unanswered for long. Hopefully Battle for Azeroth will have some answers.